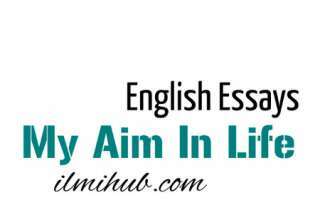 Here is an essay on Problems of Islamic World for Class 10, Class 12 and Graduation. 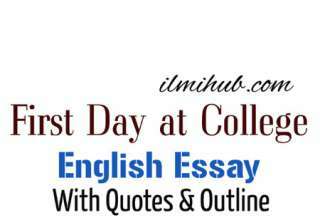 Students can write the same essay under the question, Common Wealth of Muslim Countries, Essay on Muslim Ummah, Essay on Unity of Muslim World and Essay on Reasons of Downfall of Muslim World and Solutions. 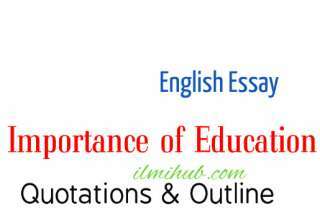 Essay on Role of Media is here as well. The Muslims form a large bulk of the human population. There are fifty-six countries in the world but unfortunately, they are powerless and weak. They lag behind in science industry and technology as compared with the Western countries. Some of them are rich in oil and mineral resources, but they have failed to utilize these sources to march on the road to progress. Pakistan is the only country which can boast of human skill and progress in science and technology. It is the only Muslim country which can take pride in its advancement in nuclear technology. But it lacks economic resources. Its economic condition is quite poor. All the Muslim countries are the victim of injustice and aggression at the hands of the Western countries. Pakistan is beset with Kashmir problem. The Kashmiris are fighting a battle of freedom against Indian terrorism. Iraq is the victim of American aggression. Afghanistan too is crying with wounds of war under the aggression of Allied forces. The Muslims of India have been suffering cruelty and injustice at the hands of India and America for the last fifty years. The Muslims of other countries except Turkey are leading a cowardly and timid life. They do not have freedom of speech or ideas. They cannot utilize their economic resources according to their own will or freedom. Powerful Western countries have usurped their oil resources. The Muslim countries are destined to suffer as long as they are isolated and disunited. The rulers of many Muslim countries live under the umbrella of the superpower America. Afghanistan is a case in point. According to the teaching of Holy Quran, the Muslims have been given the role to rule the world. They must not compromise with the forces of evil, injustice and cruelty. They must fight aggression. They are called by the Holy Prophet (PBUH) as one body. If a Muslim in one part of the world suffers injustice and cruelty, the Muslims of all the world are ordered to fight this cruelty. But unfortunately, this is not happening. The reasons are quite obvious. The Muslims all over the world are divided into many sects on the basis of their respective schools of thought. They adhere to their sects quite faithfully. The rulers of all the Muslim countries are Weak and powerless. They have focussed their eyes on the temporary material benefits. They try to please America instead of their own people. The Muslims can rule the world if they become one Ummah. They must form the unity. Only unity can bring them to that glory which the world of Islam once enjoyed. Another world bloc (of Muslim countries) which may be as powerful as the capitalists or communist bloc must be formed. First of all, the Muslims should be united in the religious field. The belief in God and Quran is the true basis of their unity. They should rise above sectarian views. Second: The Muslim countries should make efforts for their joint defence. They must form a common and united fighting army, consisting of Mujahideen. Such a God fearing and devoted army should fight aggression if it is inflicted on any Muslim country of the world.